Sports cards are hot and has a lot of people talking. 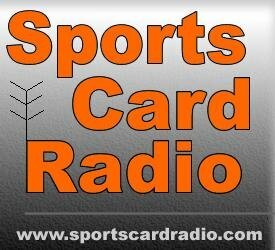 @SportsCardRadio responds to comments made by @GaryVee and @WatchTheBreaks & common myths around sports card investing. Colin is joined by @SportsCardNews and goes into full blown seek and destroy mode on industry newbies, Luka Doncic group think, haters who have never made 7 figures on a website and much more. On today's show I discuss a variety of topics I've written down over the last few months. I'm going to change my strategy on COMC again, this time pouring more money into the site. I joined the 582 Topps Club, and got an invite to but a $1,000 box as a thank you. Redemption cards are a Ponzi scheme and Topps, Panini, etc all participate. I give an update on my Amazon/eBay sales for 2018 and I tell you how my strategy will change in 2019. At the Topps Industry Conference, in beautiful Scottsdale, Ryan sits down with an All-Star panel of guests.